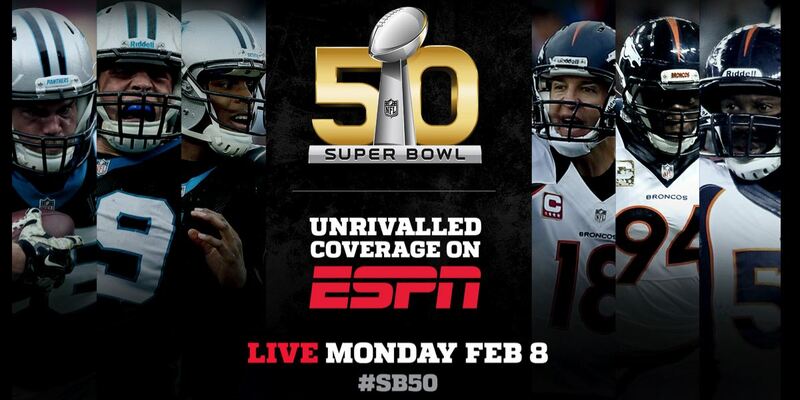 ESPN’s weeklong coverage of Super Bowl 50 – Peyton Manning and the Denver Broncos vs. Cam Newton and the Carolina Panthers – has kicked off from the SAP Center in San Jose, Calif., and continues in the Bay Area through the post-Super Bowl NFL PrimeTime and SportsCenter shows on Monday 8 February. ESPN has made its Super Bowl home at Marina Green in San Francisco, where signature shows SportsCenter, NFL Insiders, NFL Live, Postseason NFL Countdown and PTI will originate. ESPN’s Super Bowl commentator team includes former NFL players, coaches and team executives with a combined 30 Super Bowl appearances and 17 championship rings. 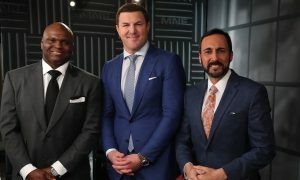 The roster of television hosts, analysts, insiders and reporters includes: Michelle Beisner, Chris Berman, Tedy Bruschi, John Buccigross, Cris Carter, Lindsay Czarniak, Trent Dilfer, Mike Ditka, Herm Edwards, Merril Hoge, Tom Jackson, Ron Jaworski, Keyshawn Johnson, Suzy Kolber, Steve Levy, Ray Lewis, Wendi Nix, Sal Paolantonio, Bill Polian, Louis Riddick, Adam Schefter, Mark Schlereth, Hannah Storm, Jim Trotter, Ed Werder, Trey Wingo and Steve Young. • Postseason NFL Countdown 3am: Hosts Chris Berman and Suzy Kolber preview the Denver Broncos-Carolina Panthers matchup from Marina Green and Levi’s Stadium, respectively. Co-host Wendi Nix, NFL analysts Cris Carter, Mike Ditka, Tom Jackson and Keyshawn Johnson, and NFL Insider Adam Schefter join Berman from the Marina District, while Trent Dilfer, Ray Lewis and Steve Young join Kolber from Santa Clara. Bureau reporters Sal Paolantonio (Broncos), Ed Werder (Panthers) and Jim Trotter provide team updates. • NFL PrimeTime and SportsCenter: After Super Bowl 50, Chris Berman, Tom Jackson and Steve Young will have highlights, interviews and more on NFL PrimeTime (2.30pm) from Levi’s Stadium and Steve Levy and John Buccigross will anchor the post-game SportsCenter (3.30pm) from Marina Green. • Super Bowl Confidential: Takeaways from a survey of more than 300 current NFL players, who share their thoughts on everything from their choice for the halftime performer to game-changing players. • Super Bowl Rank: The top 50 players in Super Bowl history. • Ranking the 49 Super Bowl MVPs. • Whitney Houston’s version of “The Star Spangled Banner” unintentionally changed the entire culture of the Super Bowl. On its 25th anniversary, ESPN retraces the development of the anthem. • Super Bowl predictions from ESPN personalities, writers, celebrities and more. • In-depth previews of the game from NFL Nation reporters. • ESPN Digital Video coverage from San Francisco, featuring NFL Nation reporters and NFL Insiders. • ESPN Insider coverage includes on-location analysis from Mike Sando, as well as advanced metrics leading up to and following the game. 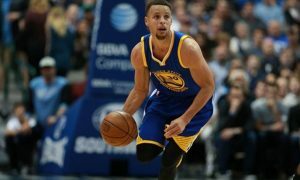 • Instant postgame analysis, grades for each team and power rankings for the coming season. • espnW’s Jane McManus reports from the NFL Women’s Summit and covers media day and surrounding Super Bowl week events for espnW. In addition, Sarah Spain provides red carpet and Super Bowl party coverage from espnW’s social handles. All three co-hosts of espnW’s The Trifecta (Spain, McManus and Kate Fagan) will broadcast their show from Radio Row on Saturday, Feb. 6. ESPN hosts its 12th annual Super Bowl event, ESPN The Party, on Friday, Feb. 5, in San Francisco. In conjunction with the release of ESPN The Magazine’s Super Bowl issue, the invitation-only event features a special live performance by multi-platinum selling GRAMMY-nominated singer/songwriter Nick Jonas, along with music by D-Nice. ESPN takes over the Festival Pavilion in Fort Mason, which in 1941 was home to over a million military men and women as they boarded ships to sail the Pacific to begin Hawaiian relief efforts after the attack on Pearl Harbor. Follow the action via social channels using #ESPNTHEPARTY. • Behind-the-scenes coverage of Super Bowl week via Facebook, Twitter and Instagram. • Twitter vote: On Friday, Feb. 5, fans are invited to answer the question: Who will win Super Bowl 50? • The 2015 NFL Season in Pictures: For the third year in a row, Trey Wingo recaps the NFL season in 160 seconds. The video will air on NFL Live and other ESPN TV programs throughout Super Bowl week. It will also be posted on ESPN.com.